The RAMSJO doors from IKEA were discontinued by the manufacturer after the date this article was published. Anyone who’s ever baked five dozen cupcakes for their child’s school, Christmas cookies for a crowd, or (heaven help us) a wedding cake knows that in many ways, the average home kitchen isn’t designed for a big-batch, dedicated baker. We turned to our experts for their suggestions about the ultimate kitchen layout for committed bakers. Three countertop levels make this island perfect for baking. Why lug plates, glasses and silverware to another room for juice and a croissant in the morning? 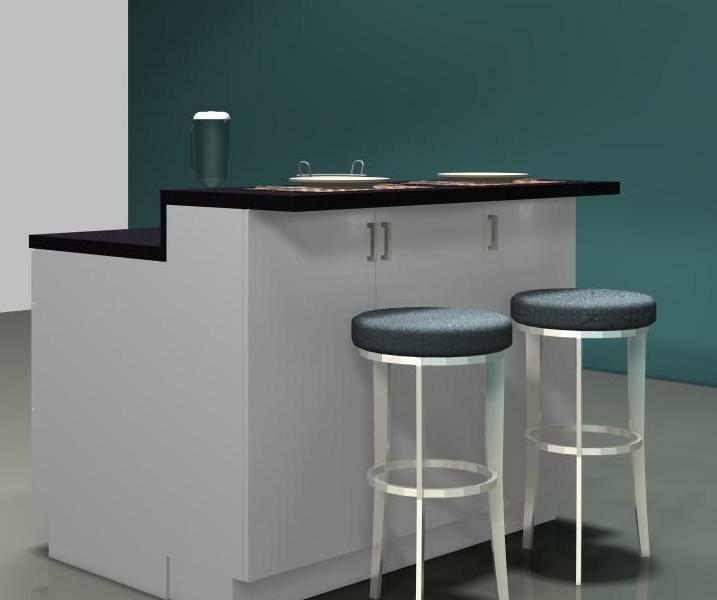 If 48”, plus 36”of circulation space is available, then a raised bar island would be ideal for that quick breakfast. By using three Akurum base cabinets (34″ ½ high including toe kick) and designing them back to back with three Akurum 39″ wall cabinets – with a base made from toe kick (42.5″ high) – a cozy eating area is nearby. 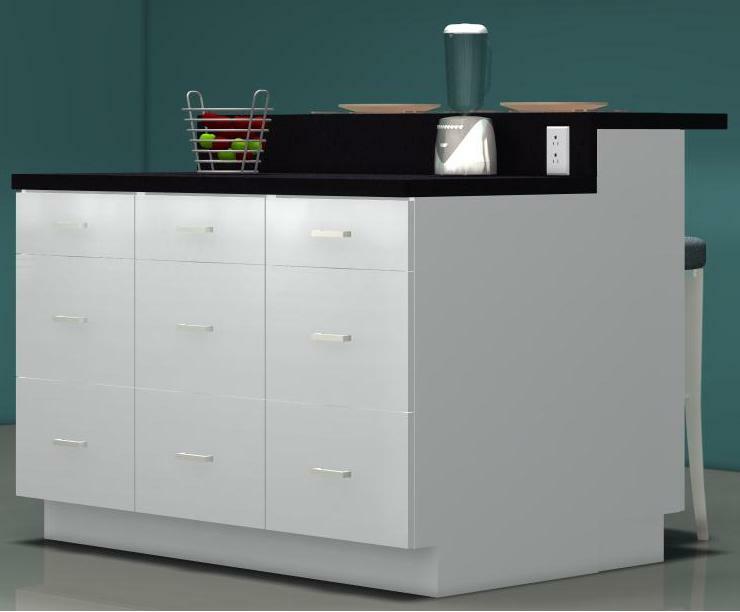 The 6”vertical space between the two levels of countertop fits a few electrical outlets which come in handy for the food processor or blender.